A fawn out of two blacks(! ), Marylou has a light blanket, with dark shading on her face and neck. Quite a beauty! Her fiber is soft and dense, with a silky hand. 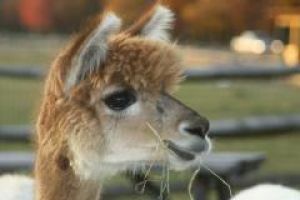 Mary Lou's grandsire, 5Peruvian Silverado, was hand selected out of the Sollocota Region in Peru by veterinarian and alpaca importer, Anthony Stachowski, DVM, who chose Silverado for his own herd. Silverado is best known for producing award-winning, crimpy-fleeced offspring with outstanding density and a soft handle with little or no guard hair. 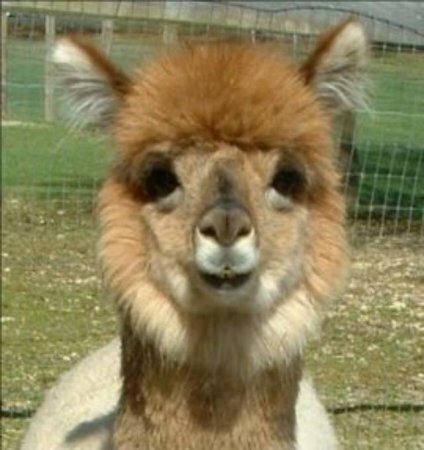 Mary Lou is also a descendant of The Silversmith, who arrived from northern Chile in the second largest importation of alpacas from South America in l988, and was owned by Eric Hoffman for many years. The Silversmith was an impressive looking animal - structurally flawless, with had above-average density. Medium silver grey, his color was consistent throughout his coat. 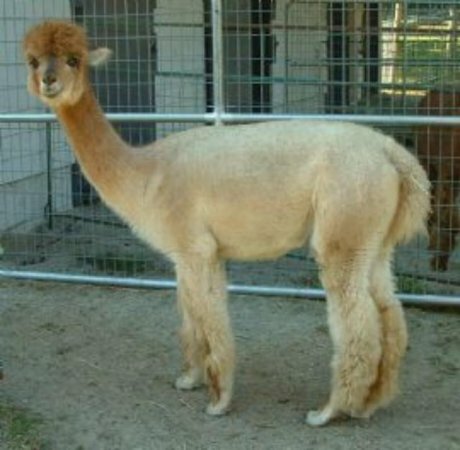 Mary Lou has been bred to Peruvian Pizzaz. Pregnancy has been confirmed via ultrasound. She is due mid-June 2010. 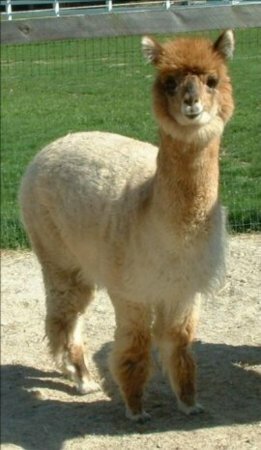 Mary Lou will be sold with a complimentary breed-back to any of Island Alpacas herd sires. Mary Lou has been bred to Chase Tavern Estrada. She is due mid-June 2011. Pearl is a beautiful bay black huacaya with dense, soft, crimpy fiber. She is an alert, gives birth with ease, and is caring mother and a leader in the herd. She has a colorful background which includes light silver gray from her grand sire, The Silversmith. Pearl's dam, 6Peruvian Aphrodite, is from the Alianza region which explains Pearl's soft handle. 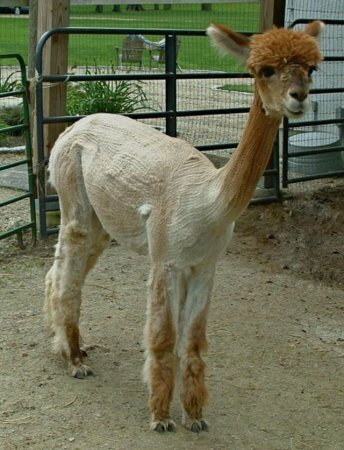 Pearl is easily bred, and has delivered her crias with no assistance. Her crias have had birth weights from 15 to 20 pounds, and high IgGs. Pearl has silver-grey heritage from her sire Silver Dollar, and her grand sire, The Silversmith. Haiku is a full Peruvian huacaya, with excellent conformation, and dense, crimpy black fiber. He loves his work, and has quickly bred females introduced to him. He is definitely a presence in the paddock! And he passes his spunky character to his offspring, who are inquisitive, energetic and endearing. 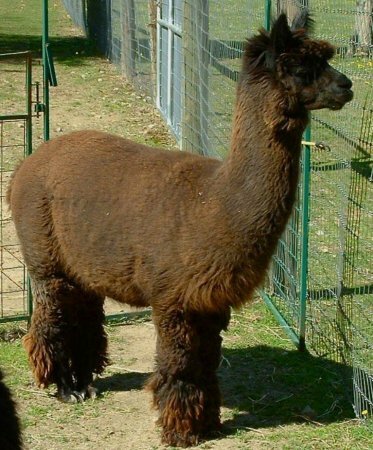 Haiku has numerous crias on the ground, and has produced black when bred to black, grey when bred to grey, and dark fawn to black when bred to fawn. Haiku's sire, 5Peruvian Silverado, was hand selected out of the Sollocota Region in Peru by veterinarian and alpaca importer, Anthony Stachowski, DVM, who chose Silverado for his own herd. Silverado is best known for producing award-winning, crimpy-fleeced offspring with outstanding density and a soft handle with little or no guard hair.